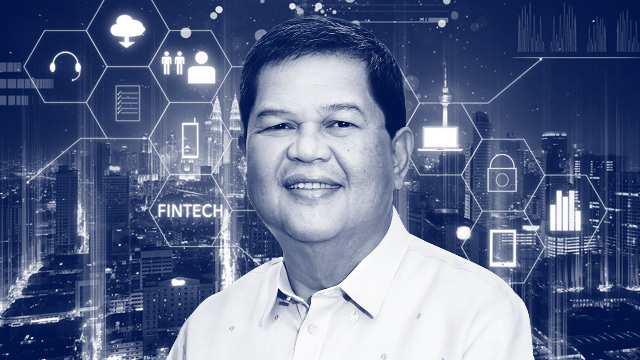 The Bangko Sentral ng Pilipinas (BSP) has created the Financial Technology Sub-Sector (FTSS), a unit in charge of overseeing the BSP’s digital payments programs as well as regulating registered financial institutions that offer electronic products and services. “A new subsector within the Financial Supervision Sector has been created to conduct the effective oversight of fintech and other innovative alternatives,” said BSP Governor Nestor Espenilla Jr. in an event on July 27 that focused on the country’s payments and settlements system. In an organization primer published in July 17, the BSP detailed that the FTSS will consist of two divisions. The first, called the Payment System Oversight Department, will be in charge of overseeing the implementation of the National Retail Payment System (NRPS), the BSP’s own effort to widen the use of electronic payments in the country. It aims to make a fifth of all transactions in the country digital by 2020, a large jump from only one percent in 2015. So far, the NRPS has led to the creation of two automated clearing houses, PESONet and InstaPay, which both facilitate electronic fund transfers. PESONet allows for easier bulk electronic transfers in batches, while InstaPay processes small transactions in real time. Both serve as alternatives to the slower and more expensive paper-based check payment system and remittance services. The second department is the Core Information Technology Specialist Group, which BSP says is tasked to “conduct information technology supervision and examination of non-bank financial institutions, including payment systems.” The group is also in charge of monitoring concerns and issues regarding cybersecurity. While a majority of the central bank’s electronic money issuer (EMI) licenses have been given to banks, the BSP has also recognized several non-banking institutions and their important roles in promoting financial technology. As of end-2017, 10 fintech companies have been given EMI licenses. As well, five startups dealing with cryptocurrency have been given the new virtual currency exchange (VCE) license, allowing them to process transactions that use both fiat currency and digital tokens. These VCEs operate as remittance and money transfer companies, which means that they are registered with the Anti-Money Laundering Council. The BSP has continuously advocated the use of technology in promoting financial inclusion across the country. However, there is still a long way to go in terms of adoption of fintech products and services, as the 2017 Financial Inclusion Survey reveals that only 1.3 percent of Filipino adults, which translates to around 900,000 individuals, have an electronic money account. “In order for the financial system to reach everywhere, even to the remotest access points, we encourage increased use of affordable digital channels for payments, remittances and fund transfers,” said Espenilla in his speech. Related story: Mirroring Giant Telcos: Is a Duopoly Emerging in Digital Payments Too?